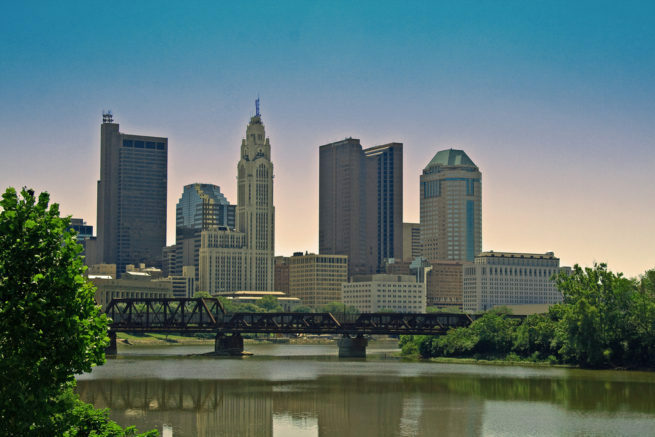 Fly in a luxury private jet to Columbus, the capital of Ohio, and the state’s largest city. Renting a private turbo-prop or jet to either (KCMH) Port Columbus International Airport or (KLHQ) Fairfield County is the most comfortable and convenient way to get in and out of Franklin County, and our team offers the highest standards in executive and leisure travel. 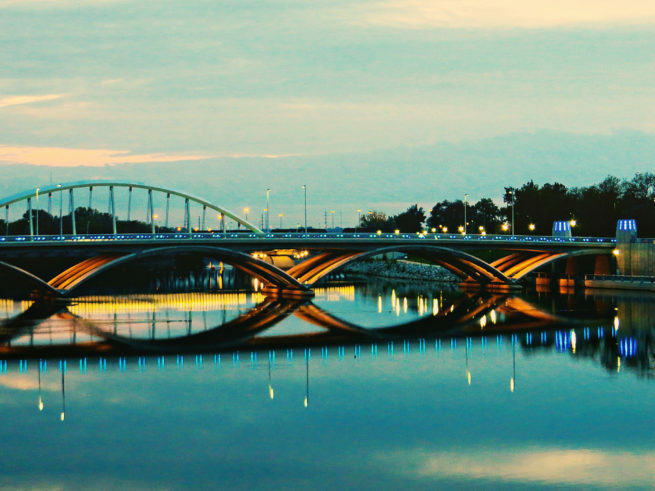 Our team at Air Charter Advisors was established to offer the highest standards in executive and leisure travel, and our team offers on-demand private jet charter service to/from Columbus. Our company has access to thousands of private planes from around the world certified for these flights, and we’re confident we can connect you with the right aircraft at the right cost, whether you’re flying internationally or domestically. Our company is one of a select number of charter brokers worldwide with Wyvern-certification, and all of the private aircraft we use for flights to Ohio are operated by FAR Part 135 (or foreign equivalent) air carriers. Enjoy the comfort, convenience and peace of mind you get from working with an air charter broker you can trust, and Air Charter Advisors will become your local and global solution for luxury air travel, aircraft acquisition and private jet management. Call or request a quote for your charter flight to Columbus, Ohio. Our team can handle all aspects of private aviation, whether its booking your private jet, creating its flight itinerary, arranging in-flight catering, luxury ground transportation, helicopter lifts and any other requests you may have – make Columbus Jet Charter your one-stop shop for all things private aviation in the state of Ohio. If you’re an executive or business professional flying private to Franklin County, our private jet charter brokers can arrange the perfect flight for your needs with our direct access to thousands of luxury private jets and helicopters. Long-range jets such as a GulfstreamV/G500/G550 are the perfect way to fly your corporate team from Columbus across the country or overseas, reaching domestic destinations such as New York and Los Angeles in just a couple of hours, while European destinations such as London, Berlin and Rome are only around 8-10 hours away. Rates for larger, long-range jets can vary between $6,500 – $9,000 hour, based on routing, scheduling and other factors. If you’re flying within Ohio or to a nearby by Midwestern state, efficient mid-size jets such as a Hawker (700/750XP, 800/800XP/850, 900XP) or Cessna Citation VII are ideal for departures from general aviation airports in the Columbus region. No matter which aircraft type you prefer, our friendly private aviation agents will be available to you 24/7 to help plan your upcoming executive charter flight to Cleveland, Ohio. Our team will look into available empty legs and potential one-way routing to offer the most competitive quotes possible. * Please note that aircraft availability is subject to change. A private flight to Columbus puts you in one of the most traditionally American cities in the Midwest. It’s full of fun attractions that are perfect for private jet travelers. Attractions like the Columbus Zoo & Aquarium, Ohio State University, and the Brewery District are all there to keep you busy for the duration of your visit. Or if you prefer to enjoy the city like the locals, you may want to attend a football game. These games are the heart of Columbus camaraderie, and will surely earn you points with the locals; you may even make some friends if you’re wearing the right jersey! The entire town of 800,000 residents shuts down during the football games while the residents pile in to the local stadium and spill out into the surrounding streets. With over 90% of the residents identifying as football fans, if they’re not at the stadium, then they’re packed into sports bars and anywhere else that shows the game. Football isn’t the only thing that private jet travelers can enjoy while in Ohio’s biggest city. There is plenty of history packed into its antebellum buildings. And history isn’t the only thing packed in to the buildings. Breweries, museums, theaters, and gourmet restaurants inhabit some of the most charming parts of town. After your private flight lands, you’ll have plenty of things to do with the rest of your day. Head out to the Franklin Park Conservatory & Botanical Gardens for a day spent reaffirming your relationship with nature. With several exhibitions including an origami garden, a butterfly garden, and a Bonsai display, you’re sure to find something that tickles your fancy. Or take your family to the grand Ohio Theater for an evening listening to some of the best musicians in the world. Now while it’s true that many of these establishments carry the local craft beers, nothing quite beats the taste of a beer fresh out of the cask and in your cup. Most locals would agree, and then point you towards Schrock Street where Zaftig Brewing Company makes its home. Close by is Barley’s Brewing Company Ale House is another local favorite. Their beers can be seen in establishments all over the city for good reason; they’re delicious! Whether you’re going to Columbus for business or for pleasure, there will be plenty of diversions to keep you busy. But with so many options, it can be a bit difficult choosing exactly what to do. 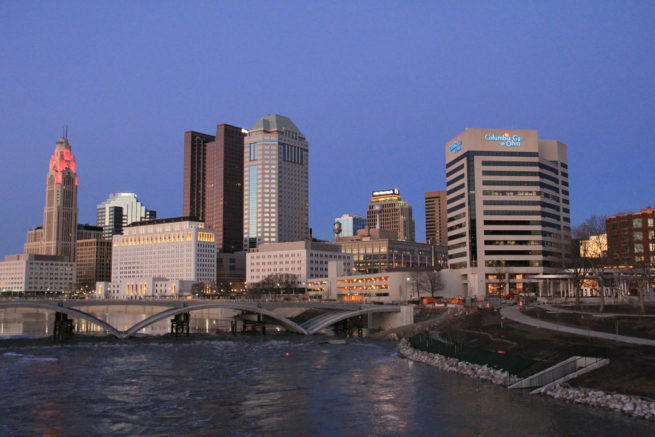 Columbus Jet Charter has compiled a list of the top attractions in the area, so keep reading to check it out! Book a private flight to Columbus and you’ll get to experience a traditional college town in its most iconic form. There are tons of lodging options for after your private flight lands, though we don’t recommend flying in before a football game. This city literally shuts down during home football games; the tailgating spills out over several blocks and is a site to behold; the home games portray the spirit of Columbus in all of its pride and fervor. Visitors, whether in Columbus for business of for pleasure, will notice this regional pride right away. It’s visible in the small establishments that proudly display the team colors, from restaurants and museums to bars and hotels. Speaking of hotels, Columbus has a ton of boutique options for relaxing getaways, and contemporary hotels suited to business professionals. One of the most popular hotels in Columbus is the classically luxurious Blackwell. It offers all of the traditional amenities along with a private town car service, fireside lobby lounge, and a full service bistro. While The Blackwell is an excellent option, some may enjoy a more modern take on Columbus life. Spend a weekend at The Lofts for a more relaxed atmosphere, or any of the other luxurious options. The Lofts, aptly named, offer two-story generously appointed suites along with gorgeous views of the city skyline. Choosing the right hotel can be difficult, so we’ve compiled a list of the best options. Based on Columbus Jet Charter customer feedback, online reviews, and amenities offered, the list is sure to have something for everyone; keep reading to check it out. 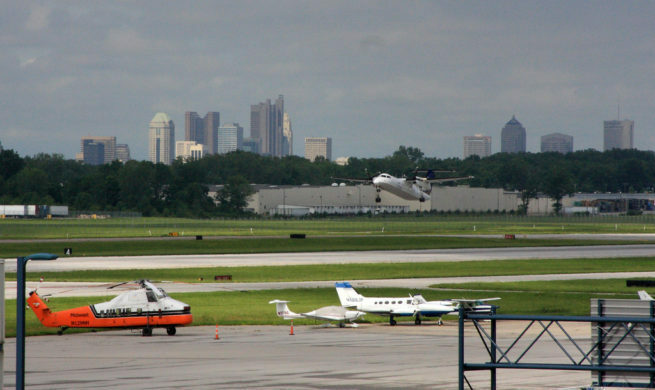 Air Charter Advisors utilizes the following airports to fly clients privately to/from Columbus, Ohio and neighboring areas. Request a Quote or give us a call at 1-888-987-5387 to speak with one of our Columbus Private Jet Charter agents for your next luxury vacation, business trip, or special event. Air Charter Advisors believes in providing private flyers with a one-on-one consultative service experience that exceeds every expectation. We understand that your time, privacy, flight preferences and most of all, safety, are all extremely important. Our Columbus Jet Charter representatives are available for you by phone and email 24 hours a day, 7 days a week. Our jet charter representatives can arrange everything from multi-leg private flights with in-flight catering to luxury ground transportation and private helicopter lifts. When using our private aviation service, you can expect quick response times and an easy, hassle-free booking process.